In my Swimming review, I mentioned briefly that I had a kind of fascination with Mac Miller. I didn’t consider him the most impactful or impressive artist, but I was drawn to him by the personality he communicated through his music. Now, in light of his tragic passing, I thought it would be fitting to discuss the album that drew me to him in the first place. Watching Movies with the Sound Off was the imperfect but much improved follow up to Miller’s debut album Blue Slide Park. In many aspects, it demonstrated why he deserved a spot in the genre and what it was about him that made him special. From the energetic, wordplay-filled highs to the off-key, somber lows, this album bounces between the sadness of a heavily-criticized and grieving Mac Miller and the bouncy, energetic rapper that would be more prominent on GO:OD AM. While this sadness is prominent, the true beauty of Watching Movies with the Sound Off is owed to the fantastic production and Mac Miller’s ability to craft memorable verses. One doesn’t have to look further than “Red Dot Music” to understand the way those two factors are the necessary ingredients to the gems of the Mac Miller discography. The flipped vocal sample, paired with Mac’s wordplay and Action Bronson’s equally stern set of bars, equate to a darkly humorous deep cut that simply deserves more attention. Why this song isn’t the most popular track for both artists is beyond me. Not only do we see these kinds of lyrical and atmospheric patterns repeated again on “Watching Movies” and “I’m Not Real,” the latter having a rare Earl Sweatshirt verse, but there are also pockets of energy and fun sprinkled in on the album. 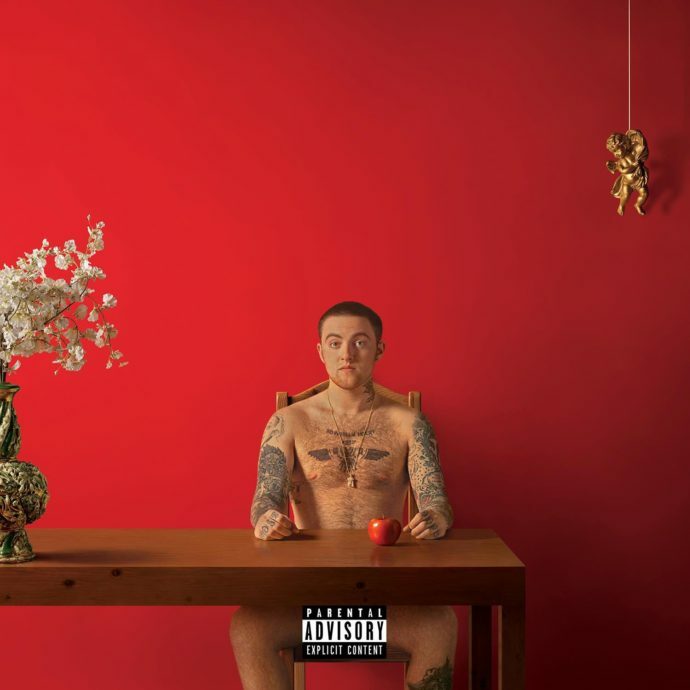 While this definitely distorts the intended somber mood of the record, songs like “S.D.S” and “O.K” both have a youthful bounce to them that seems to build off of some of what we’d seen on “Blue Slide Park.” The latter, a hilarious jumble of cowbells and shouts, is easily one of my favorite songs in Mac Miller’s entire discography. Hearing Mac Miller on these jovial kinds of songs makes it feel like he’s firing on all cylinders. It’s his natural habitat. Or, sadly, it was his natural habitat. With his loss, rap music has lost a talent that, while later focusing on a different kind of sound, was clearly a capable and technically proficient rapper and producer. It deeply saddens me to know that the youthful energy that comes across on Miller’s best songs will never be manifested through music again.